Your storage doesn't have to dull and bland!! 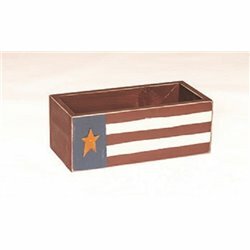 Add a touch of personality with this Patriot American Flag Themed Storage Box!! It's a great addition to any work bench, drawer, or under the cabinets! The perfect size to keep those hard to find, easy to lose items at fingers reach!! !